Hi there, and welcome back to the Eagle Animal Hospital and Pet Resort blog. Now that the warmer weather is here, residents across North Kansas City will embark on home improvement and landscaping projects to get their properties looking immaculate either for their enjoyment or for the sale of a home. As a pet owner, you will need to take extra precautions to protect your precious pup from toxic substances that could cause serious damage to their health and can sometimes be fatal. As your Top Rated Local® veterinarian in Kansas City, we care about the health of your dog whether they are staying here with us in our dog boarding facility, or at home with their people. 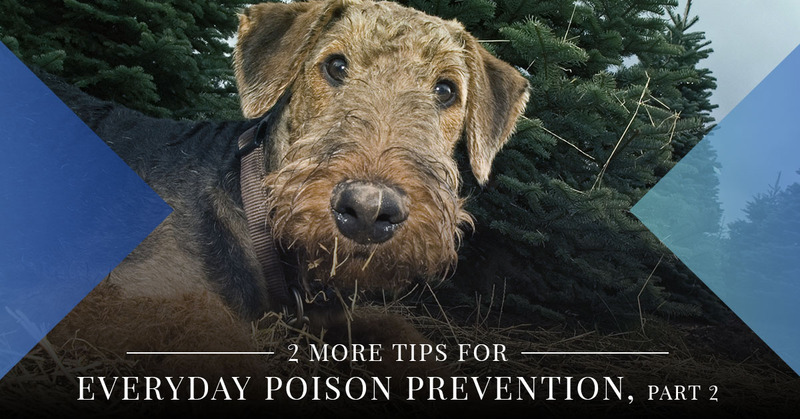 Today, let’s continue where we left off looking at ways to protect your dog from everyday threats to their health in part two of this short blog series. For a full list, follow this link to visit the ASCPA website. If your dog eats these or other toxic plants, call us for emergency pet services or call the ASPCA Animal Poison Control Center at (888) 426-4435. When working on your car, you will want to be extra careful with the different fluids and materials you use with your dog around. Chances are you probably set these products on the ground or in a box that your dog can easily access and lick if he chooses to. What’s more, it is easy to spill these products as you’re working on your vehicle, which makes it very easy for your dog to come along and take a drink of. Antifreeze and other products commonly kept in the garage are especially poisonous to dogs. You will want to make sure these products are sealed tightly, stored up off of the ground, and promptly cleaned up if spilled. When performing home improvements that involve the use of masonry substances, take care that your dog doesn’t accidentally eat these products. Masonry products like wet cement, liquid nails, mortar glue, and other heavy adhesives can get stuck in your dog’s coat and paws, and if ingested, can pose a serious hazard to their health. Keep these stored out of reach from your pup and when using them, ensure your dog can’t access them. When you have projects around the home that require the use of dangerous and toxic substances that could harm your dog, you’ll want to consider bringing them to our doggy daycare or boarding them while you complete these projects. This can keep your dog safe and allow you the time you need to complete your tasks without worrying about your dog’s wellbeing. Give Eagle Animal Hospital and Pet Resort a call today for quality dog boarding in Kansas City. Tune in for part three as we continue looking at more everyday poison prevention tips!